FORM is a project originally conceived at CalHacks in Fall 2016. 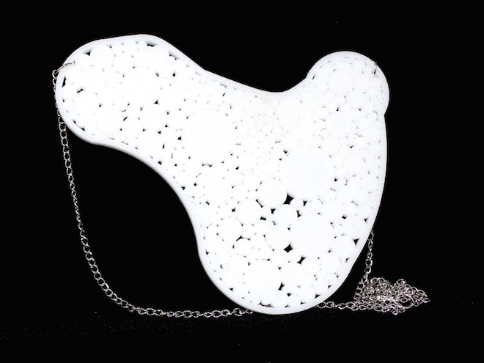 The project explores the possibilities of 3D printing technologies through wearable pieces whose complexities would be time-consuming or impossible to create using traditional manufacturing processes. FORM anticipates a future where a 3D printer is a common household tool and considers what that future might look like through innovative pieces of wearable art. All FORM pieces can be printed in 8 hours or less, enabling wearers to send FORM files to their printer before bed and wake up to new wearable art in the morning. FORM pieces are currently being printed in PLA plastic on Makerbot printers. However, plans for future prototypes involve exploring other materials including acrylic, stainless steel, porcelain, and even precious metals. Another exciting possibility is printing with recycled plastic filament like that created by the team at Dimension Polymers or made at home using tools like the Filabot. This would make it possible for consumers to collect plastic from things like used milk and soda bottles or old FORM pieces and transform them into filament for future pieces, allowing them to constantly update their collection while remaining sustainable. The initial pieces for FORM are based around the exploration of different shapes and curves and were individually modeled in Fusion 360. Moving forward, I hope to begin integrating generative modeling tools like Grasshopper and Dreamcatcher to create even more interesting pieces that showcase upcoming developments in CAD technologies. Mind map of FORM’s mission, personality, and position in the marketplace. As part of a 8 week Brand Identity course at The New School, I created a comprehensive brand strategy for FORM, as well as imagined sub-brands FORMed and FORMx. In the initial phase of the course, I worked on researching the marketplace, mind mapping, and establishing the feel of the brand. While creating the moodboards for FORM, FORMx, and FORMed, I developed a concise brief about what each aspect of the brand stood for. The overarching company, FORM, was to be sleek and futuristic as well as a bit playful. The education and outreach branch, FORMed (FORM Education), was to focus on the sustainability and technological aspects of the brand and be a bit more friendly. Finally, FORMx (FORM Experiments) was to be artistic and scientific, highlighting the innovations and science behind the pieces. I kept these briefs in mind as I dove into logo concepting and development. 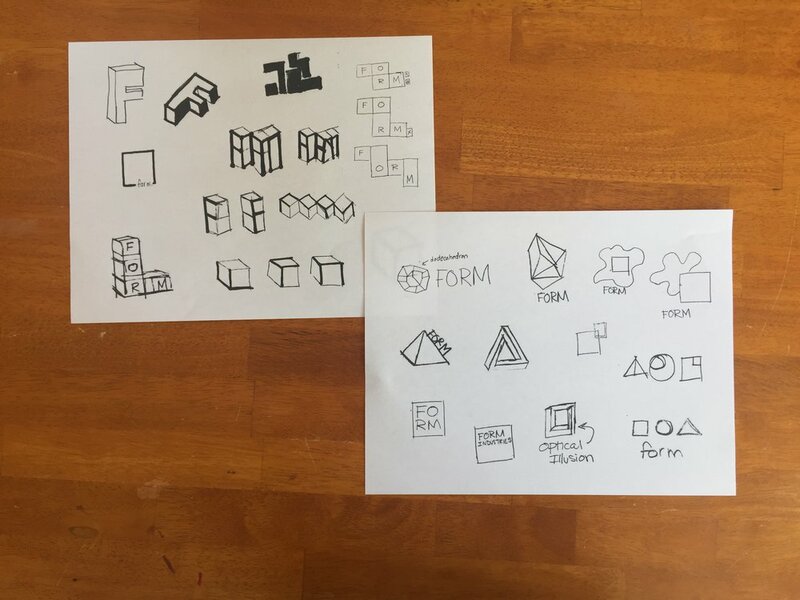 After sketching out some initial ideas and presenting my three top concepts to my classmates, I decided to further develop my idea of a dynamic FORM building blocks identity. This approach highlighted theme of transformation seen throughout the FORM brand-our mission to showcase the power of 3D printing technologies, which transform raw materials into a wide range of configurations, our goal of expanding knowledge through our workshops and educational materials, and our aim to be constantly evolving and pushing the limits of the field. After refining the style of the logo, developing a number of FORM block arrangements, and creating rules for further versions, I began expanding the brand concept across the project. I used color, typography, and voice to further reinforce the principles detailed in my brand vision statements and moodboards and created a brand identity guide to detial the specifications needed to convey the FORM brand in a disciplined, passionate and consistent way.